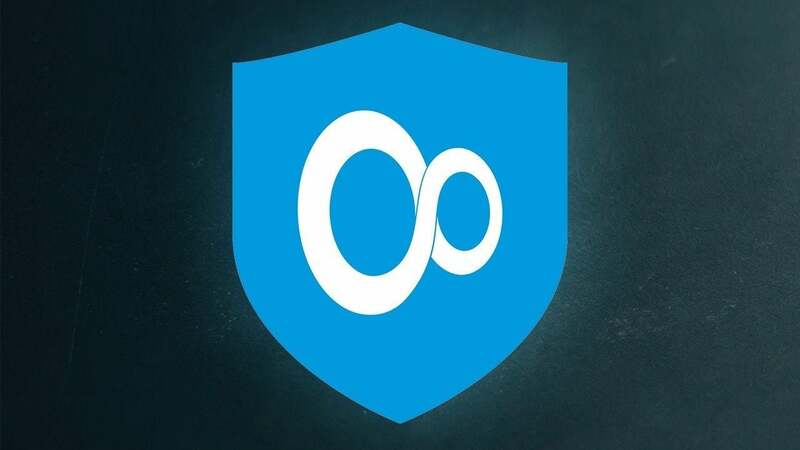 KeepSolid isn’t a household name in the VPN space, but they’ve really beefed up their service in the past few years, adding new features and more servers while keeping pricing low. IGN previously took a look a look at it in 2017, so due readers asking us for updates on some of these services we decided to see if it’s improved, gotten worse, or was still a poor choice. As it turns out, the company has made quite a turn around, making this one of our top VPN picks. KeepSolid offers monthly and yearly pricing plans, charging $10 a month for up to 5 devices and $15 a month for 10. You can, however, save some money if you purchase one year ($5/month) or three years ($2.78/month) up front. There’s also a “Lifetime” option for $99 (5 devices) or $149 (10 devices). KeepSolid has a seven day free trial available so you can give it a shot before you buy. It supports Windows, macOS, Linux, iOS, Android, and has Chrome and Firefox extensions as well. If you have a router that supports VPNs, it can create configurations for those as well. In addition, KeepSolid offers extra add-on packages for certain features. For example, you can subscribe to a personal VPN server that only you use, which can vary in cost based on location and how much data you’re allowed to use. You can also purchase a static IP in any location for about $15 per month. KeepSolid’s main interface is clean and simple, showing you a world map of your location and (once connected) where you’re routing your traffic. Entering KeepSolid’s settings is a tad weird, as every settings page is a full-window “pop-up” that requires you to click an arrow or an X when you want to go back to the main window. It’s a bit awkward to navigate at first, but once you figure it out, it’s fine. I just prefer a tab-based interface like most other VPNs provide. Clicking the “Optimal” button at the bottom of the window allows you to choose your own server, either by location or your desired usage. KeepSolid has over 400 servers in 52 countries, which is low compared to the bigger VPNs. The in-app list shows the current load on each server, and you can click a “Ping Test” button in the corner to get more information on the latency of a connection. A couple of the servers also have a “TORRENT” label next to them, indicating that P2P traffic is allowed (it’s only allowed on five of KeepSolid’s servers). KeepSolid offers a few recommended servers for best performance, or the best experience streaming Netflix or the BBC. In my tests, streaming worked fine—though services like Netflix are always fighting against VPN usage, so there’s never a guarantee this will continue to work long-term. KeepSolid VPN Unlimited offers four protocol options: IKEv2, OpenVPN, and two options they call “KeepSolid Wise” (one for UDP, one for TCP). This is essentially an OpenVPN option that disguises your traffic as regular HTTPS web traffic instead of a VPN, which is useful on networks where VPNs are blocked. KeepSolid also has an option to prevent DNS leaks, as well as a kill switch that blocks internet traffic when the VPN goes down. You can, however, automatically disable the VPN on trusted Wi-Fi networks. So if you’re VPN shopping for privacy purposes, KeepSolid may not be your best choice, though it will still encrypt your traffic in coffee shops, hide your location, and the like. Customer service is available from within the app, and they were quick to respond to any questions I had over email. You can also easily access their customer service through a live chat feature on their website, which is much appreciated considering many VPNs have terrible customer service. Using a VPN requires that your traffic go through another server before reaching its final destination, which is going to slow down your connection speed. How much slower it becomes depends on the VPN, though, and in some cases, a VPN’s servers may be fast enough that you barely notice. That was my experience with KeepSolid when I tested my download speeds with SpeedOf.Me. Without a VPN, my connection measured about 127Mbps on average, with KeepSolid bringing that down to 107Mbps or so—the most consistent fast speeds among the four VPNs I tested for this round of reviews. Even at night, during peak usage, I was able to obtain consistent speeds using KeepSolid’s “Optimal” server choice here in California. I also checked ping times using a variety of games, and they were similarly solid (heh). In most cases, KeepSolid’s nearest server only slowed down my ping times by a few milliseconds, though in Fortnite I did notice a 17-21ms slowdown—which is still good. Using KeepSolid’s South Korea location to access Fornite’s Asia server, however, resulted in a much bigger slowdown—from 145ms without a VPN to 220ms during the evening. This wasn’t too surprising, and none of the VPNs I tested were able to improve my ping overseas. If you’re trying to access foreign servers, you’re probably better off changing the server manually (if your game allows for it). 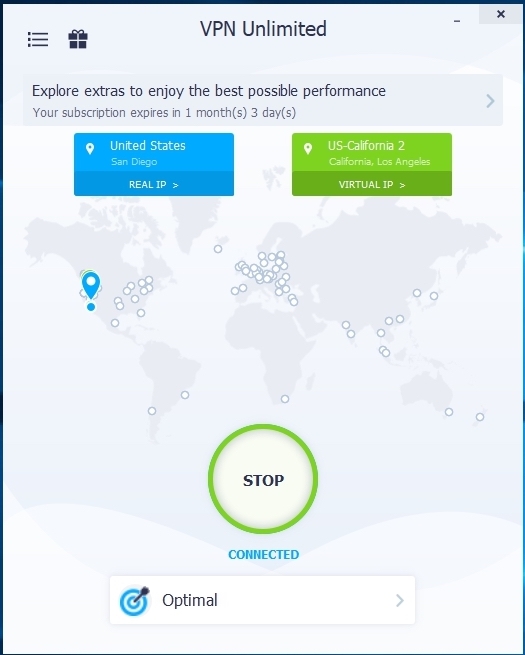 You can get KeepSolid VPN Unlimited directly from its website for a range of prices depending on length of subscription and number of devices allowed.